“Because I love the NHS, I want to bring it into the 21st century and use the very best technology available. We’ve got to get the basics right, like having computers that work and getting rid of the archaic fax machines still used across the NHS when everywhere else got rid of them years ago. “Most other organisations scrapped fax machines in the early 2000s and it is high time the NHS caught up. The RCS supports the ban on fax machines that will come into place in March 2020. “Advances in artificial intelligence, genomics and imaging for healthcare promise exciting benefits for patients. As these digital technologies begin to play a bigger part in how we deliver healthcare it is crucial that we invest in better ways of communicating the vast amount of patient information that is going to be generated. From April, NHS organisations will be required to use modern communication methods, such as secure email, to improve patient safety and cyber security. PatientSource is a modern and revolutionary electronic patient record system designed by doctors for healthcare professionals working on the front line in the NHS. PatientSource allows communication of patient information including referrals and discharge letters via secure emails, instant messaging and integrated clinical pathways with the multi-disciplinary teams. Our system can fulfil the needs of the NHS whilst bringing trusts into the 21st century. 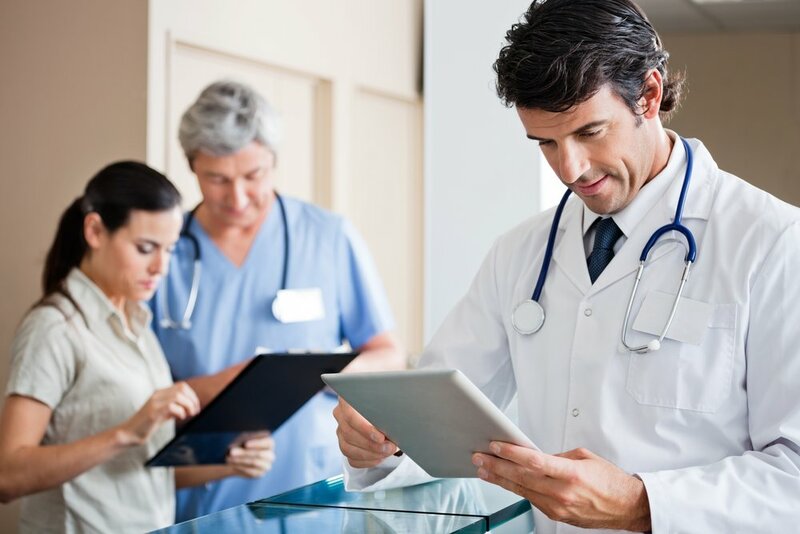 PatientSource works on tablets, laptops and desktops without installation, allowing healthcare professionals to take patient records right up to the beside. Our secure cloud-based system is highly reliable with automated back ups improving the safety of patient data. Our referrals management module is a friendly referral management solution than can replace fax machines. All specialties can be covered with highly customisable electronic referral forms, specific to the speciality; for example dermatology can have photos attached for skin reviews. Clinics and tests can be booked directly from the referral as well as the facility for advice only referrals. Referrals can be tracked and automated alerts can be created to ensure that a referral wait time is not exceeded. Referrals can be sent to GP’s in a range of formats including printable PDF instantaneously. The referrals management module is one of many modules available that can be used by healthcare professionals to improve patient safety and make workflow more efficient.